There's a great little organics and fruit and vegetable store nestled in Te Atatu Peninsula, beyond the last roundabout. It's a spot I only discovered this week and it's packed to the gunnels with the good stuff - Ceres Organics products, Pukka organic teas (my favourite) and lots of lovely, delicious, spray-free, in-season vegetables and fruit. Rainbow 5+ A Day: There's an array of colourful, in-season, spray-free fruit and veges at Greens. I'm a sucker for a good health food store, especially if it's locally owned, championed by those in the neighbourhood and created with passion for produce. Greens ticks all these boxes and more. After chatting with the owner, I realised I was pretty behind the eight ball on finding this organic food store in Te Atatu. It's been doing business in the Peninsula for the past seven years. 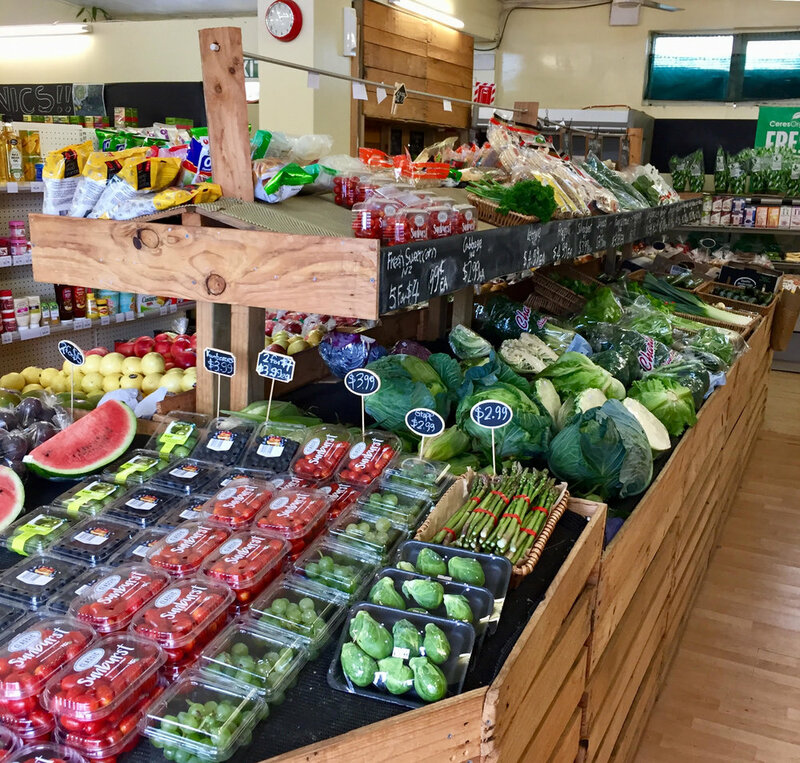 Greens Grocer: The ultimate "local", this organic food store in Te Atatu Peninsula is a real find. I discovered a few products that I haven't seen anywhere else. In particular, I picked up a delicious, refreshing, caffeine-free rooibos (red bush) and honeysuckle tea. The longer my husband and I are married (10 years and counting), the more tea has become a bonding ritual for us. And the reason we love a good cuppa rooibos is because this South African tea is not only tasty and one that you can drink at night but it's also really good for you. It's packed with antioxidants and has lots of the anti-inflammatory flavonoid (plant pigment) quercetin, which is used to stop arteries hardening, prevent cardiovascular disease, assist with circulation problems and help tame inflammatory conditions, such as hay fever, asthma and gout. Next time you head to West Auckland, check out this great local organic food store.